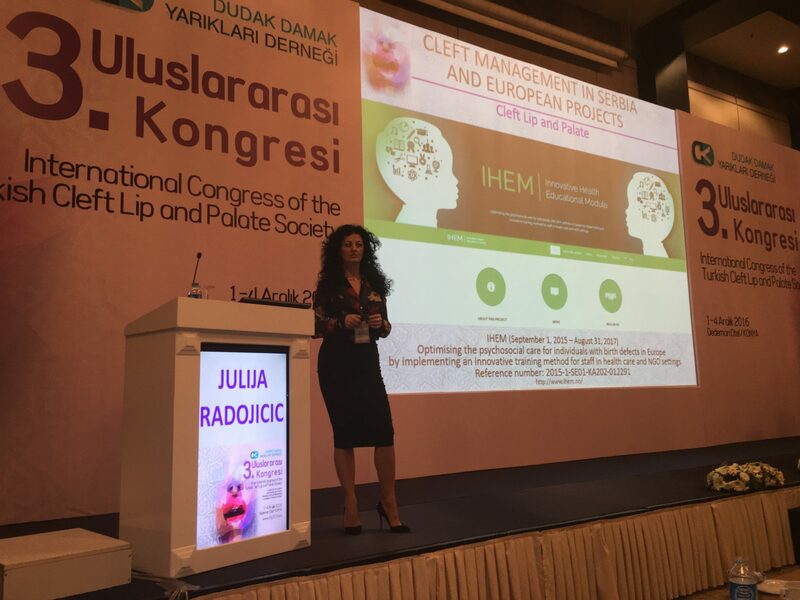 The 3rd International Congress of the Turkish Cleft Lip and Palate Society was held in Turkey, in the town of Konya, from December 1- December 4, 2016. Triskelion’s close cooperation partner from Nis, Serbia, Julija Radojicic was invited to give lecture on the subject of the Implementation of European projects related to the care of persons with lip and palate clefts in Serbia. Aside from the completed project Face value, a special emphasis was placed on the IHEM project. The lecture received strong positive reaction from the attendants at the congress, and the biggest interest was to learn about the outcome of the project. Besides that, the attendants expressed a desire to implement similar projects across Turkey.